Marc is a well known and experienced Chartered Physiotherapist currently working for the local health trust in Swansea where he has worked in all aspects of physiotherapy. He qualified in 2004 from the Greater Manchester University of Salford and has developed his own style of dynamic and fresh approach to physiotherapy. He is a fully qualified and skilled Acupuncturist who also has a keen interest in Rehabilitation and Pain Management. Marc played at a high level of football as a youth and unfortunately got injured whilst playing, this unlucky event brought him to the attention of physiotherapy, and since this ill-timed encounter he dedicated his future studies in the field of physiotherapy and sports injuries. Marc has worked in many specialities within physiotherapy which include: Plastic Surgery, Head/Spinal Injury Rehabilitation, Trauma & Orthopaedics and Intensive care. 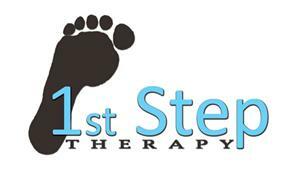 He has combined all of his experiences into a friendly and holistic style of therapy methods that welcome all. He has also worked closely with elite sports athletes such as Swansea City Football club and the National Irish Hockey team. Marc spent two seasons down the Liberty Stadium working with predominantly the 1st team, working with acute injuries and progressing to rehabilitation ready for match day. Along with covering the senior team Marc has also covered Youth teams from ages of 18 to 10 years of age. Craig qualified as a physiotherapist from the University of the West of England, Bristol in 2003. He was employed by Swansea NHS Trust for five years, gaining experience in musculoskeletal injuries before moving into full-time employment with Vale Healthcare, based in Cardiff. As part of half of this role he worked closely with orthopaedic surgeons to optimise rehabilitation of patients following operative procedures. The other half of the role required working with elite athletes based in the Welsh Institute of Sport, Cardiff and Swansea. In this role he worked with Olympic and Paralympic athletes from the sports of swimming, judo, triathlon, and rowing. Craig also has an extensive amount of experience primarily within sport having worked with professional and international sporting teams. He worked within The Scarlets region for 4 years, mainly with Llanelli RFC, but has experience with Llandovery RFC, Malta IRFU, Great Britain Youth swimming team and Wales U18 rugby. He currently works with Neath FC, Wales U19 football and Wales U16 rugby teams. He has post-graduate qualifications in Orthopaedic medicine, acupuncture and sports massage and is particularly interested in knee and shoulder rehabilitation whilst also retaining a strong interest in lower back and neck conditions.